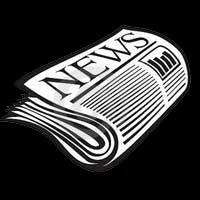 A Message from the 2nd Vice President – 01-2018 | F.F.A.M. Greetings, I hope everyone had a Merry Christmas and a Happy New Year. 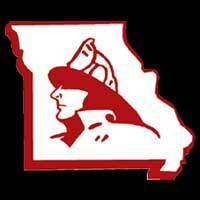 On November 3, I traveled to the Lake of the Ozarks to attend the MU Fire and Rescue Training Institute’s, Missouri Emergency Services Instructor Conference. This conference is for instructors that do emergency services training for our fellow firefighters and EMS workers in the state. Kevin and his staff put on a great conference and great training for the instructors. The training included several train the trainers including basic firefighter skills, live burn training, and water supply for rural and urban departments to name a few. Great speakers and also naming the Instructor of the Year for the institute. Kevin and Gail did a great job with this as always. Keep up the great work, and thank you for what you do! 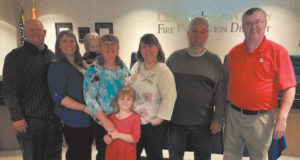 November 21, was a special day for our former FFAM Secretary and Treasurer Dale Arnold. Dale retired from the fire service after a 40 year career. 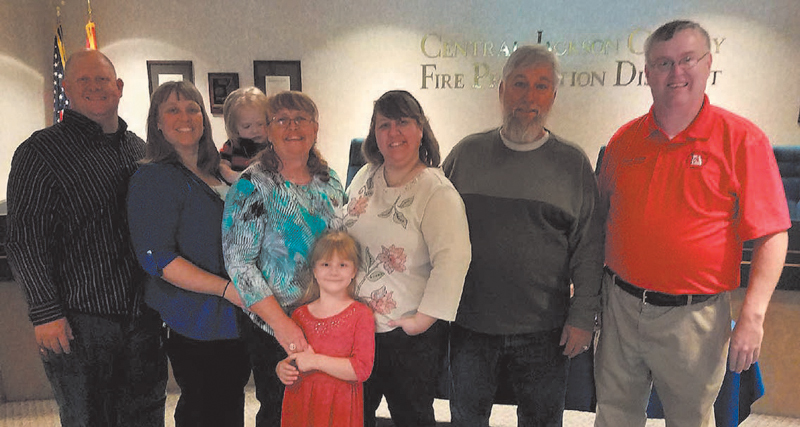 Dale started his career with the Carrollton Fire Department and served for nine years before moving on to Central Jackson Fire Protection District where he served thirty-one years moving thru the ranks and retiring as a captain. 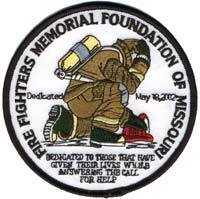 Dale served nine years as a assistant director to one of our founders of the FFAM Joe Jackson, and eventually served as Secretary/Treasurer for our organization from 1989-2011. Dale also served on the memorial committee for several years. I attended Dale’s retirement ceremony in Blue Springs, lots of good things were said including words from our State Fire Marshal Tim Bean, who also presented Dale with an award, thanking him for his service. Dale enjoy retirement and spoil those grand-daughters of yours, I think you have earned it. On Christmas Eve we had a close call in our state. An engine with the St. Clair Fire Protection District was struck by a semi. The crew was responding to a motor vehicle accident. As they were exiting the cab, the engine was struck. Fortunately no injuries to the crew. Remember to slow down and move over when you see emergency workers working on our highways. Glad to see that none of our brothers and sisters of the St. Clair Fire Protection District were injured. 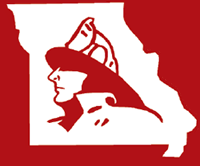 On Christmas Day, I saw a news story on KSDK Channel 5 out of St. Louis, doing a story on the Eureka Fire Protection District and how the spend the holidays while on shift. The story tells how headquarters cooks for all their stations, how they invite their families in so crew members can enjoy the Christmas holiday with their kids and family. They even forgot a thermometer when they were deep frying a turkey, and used their TIC to see how hot their oil was, cleaver thinking for sure. Firefighter Alex Hawkins did a great job being the spokesman for the group. Chief Brown you should be proud of your personnel, they were professional on screen and thank you for taking care of our brothers and sisters in Eureka. Well, winter is upon us, many of us have experienced extreme temperatures and even some snow already. Here are some tips from FEMA to keep in mind during the winter months. Make a family communication plan. Your family may not be together when disaster strikes, so it is important to know how you will contact one another, how you will get back together and what you will do in case of an emergency. Hire a contractor to check the structural ability of the roof to sustain unusually heavy weight from the accumulation of snow – or water, if drains on flat roofs do not work. Fully winterize your vehicle: Have a mechanic check antifreeze, brakes, heater and defroster, tires, and windshield wipers to ensure they are in good shape. Keep your gas tank at least half full. Keep an extra emergency kit in your car. In addition to the basic essentials, consider adding a portable cell phone charger, ice scraper, extra blanket, sand for traction and jumper cables. Rock salt or more environmentally safe products to melt ice on walkways. Visit the EPA for a complete list of recommended products. Drive only if it is absolutely necessary. If you must drive: travel in the day; don’t travel alone; keep others informed of your schedule and your route; stay on main roads and avoid back road shortcuts. Wear a hat and cover your mouth with a scarf to reduce heat loss. Frostbite is a serious condition that’s caused by exposure to extremely cold temperatures. If you detect symptoms of frostbite, seek medical care. Hypothermia, or abnormally low body temperature, is a dangerous condition that can occur when a person is exposed to extremely cold temperatures. Hypothermia is caused by prolonged exposures to very cold temperatures. When exposed to cold temperatures, your body begins to lose heat faster than it’s produced. Lengthy exposures will eventually use up your body’s stored energy, which leads to lower body temperature. If you notice any of these signs, take the person’s temperature. If it is below 95° F, the situation is an emergency—get medical attention immediately. Never use a generator, grill, camp stove or other gasoline, propane, natural gas or charcoal burning devices inside a home, garage, basement, crawlspace or any partially enclosed area. Locate unit away from doors, windows and vents that could allow carbon monoxide to come indoors. Keep these devices at least 20 feet from doors, windows, and vents. If the distance to call for help is accessible. If you have visibility and outside conditions are safe. If you have appropriate clothing. Once the storm has passed, if you are not already home, follow instructions from your local transportation department and emergency management agency to determine if it is safe to drive and, if so, which route will be safest for you to get home. Drive with extra caution. Wind Chill- Windchill is the temperature it “feels like” when you are outside. The NWS provides a Windchill Chart to show the difference between air temperature and the perceived temperature and the amount of time until frostbite occurs. .
Winter Weather Advisory – Winter weather conditions are expected to cause significant inconveniences and may be hazardous. When caution is used, these situations should not be life threatening. The NWS issues a winter weather advisory when conditions are expected to cause significant inconveniences that may be hazardous. If caution is used, these situations should not be life-threatening. Winter Storm Watch – A winter storm is possible in your area. Tune in to NOAA Weather Radio, commercial radio, or television for more information. The NWS issues a winter storm watch when severe winter conditions, such as heavy snow and/or ice, may affect your area but the location and timing are still uncertain. A winter storm watch is issued 12 to 36 hours in advance of a potential severe storm. Tune in to NOAA Weather Radio, local radio, TV, or other news sources for more information. Monitor alerts, check your emergency supplies, and gather any items you may need if you lose power. Blizzard Warning – Sustained winds or frequent gusts to 35 miles per hour or greater and considerable amounts of falling or blowing snow (reducing visibility to less than a quarter mile) are expected to prevail for a period of three hours or longer. Frost/Freeze Warning – Below freezing temperatures are expected. Hope these tips help you and your organization. Before we know it Winter Fire School will be upon us. Kevin, Gail and the MU FRTI staff have been working hard to again give us great training and also provide a great equipment exposition. 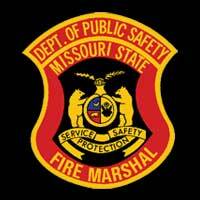 The dates for Winter Fire School are February 2-4, in Columbia. If you have not registered for classes or do not have a hotel reservation yet, I would highly recommend it. The dates for the FFAM Convention is May 4-6. The convention will be held in St. Joseph at the Stoney Creek Inn. They can be reached at 816-901-9600. Make sure to mention the FFAM Convention when registering. If I can be of any assistance to you or your agency, or you would like for me to attend your next event, feel free to contact me at grant_oetting@yahoo.com or call me at 660-229-4525.